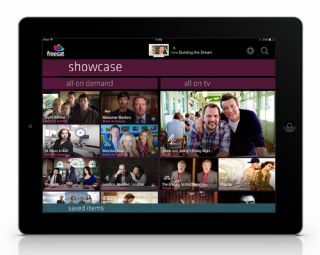 Freesat TV service launches new app for iPhone and iPad | What Hi-Fi? Freesat, the subscription-free TV service, has launched a new app for iPhone, iPad and iPod Touch that will act as a TV guide for all free TV viewers. The app – now available from the App Store – lets you plan how and what you watch, while Freetime customers will be able to to control their TVs. Meanwhile, the app works as a companion to the Freetime service and you'll be able to catch up with seven days of TV with the Roll Back TV Guide. When the app is linked with Freetime, it also acts as a remote control and will give you the power to set recordings remotely from wherever you are.